between Zendesk and JIRA to save you time. 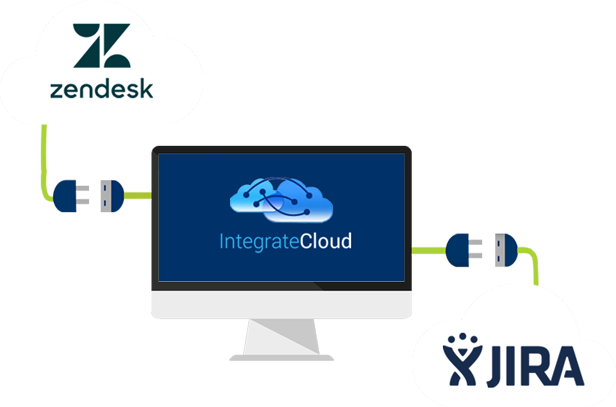 Integratecloud helps connecting Zendesk and JIRA in few minute setup and remove the pain of manually copying the Zendesk Support ticket information into JIRA. Interconnecting JIRA and Zendesk through the Integratecloud app, is only a few clicks away by. status is changed, those updates are instantly synced into the other system. Zendesk with just a few clicks. one or multiple JIRA issues. log within both JIRA and Zendesk. closely to meet all our requirements. it's working for us nicely!" "We too looked at several different solutions for integrating Jira On Demand and Zendesk, and IntegrateCloud was the most comprehensive solution available. The Zendesk team actually recommeded that we use them for what we needed." "IntegrateCloud was just what we were looking for as we are using JIRA on-premise and wanted to sync escalated tickets from Zendesk ... 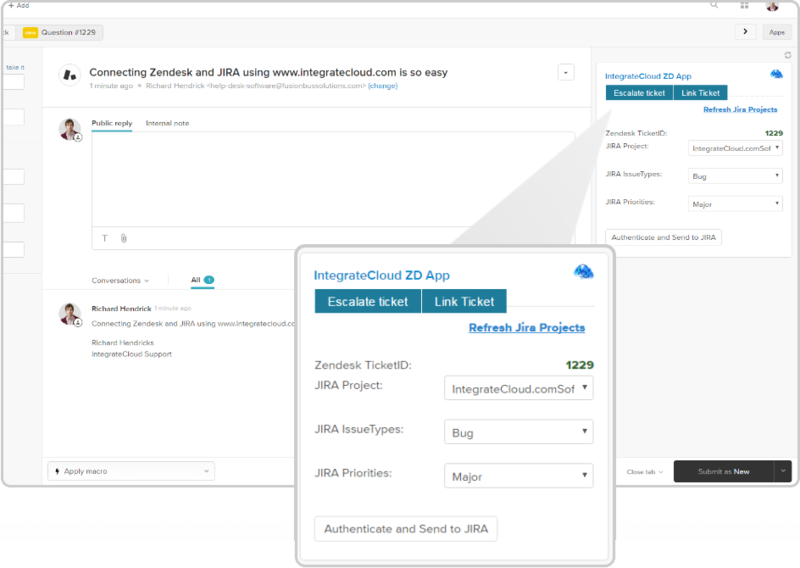 If you're running Zendesk and JIRA in your organization, I'd highly recommend looking at IntegrateCloud as a means of easily tracking tickets across the two systems." "IntegrateCloud was one of the best fit to fulfill our business requirements, Zendesk & JIRA integration works great for us. Even the service and support was extremely satisfying during the implementation phase; though we had some glitches during field mapping and data migration, the support and fix was much swifter than expected. I would certainly recommend to try IntegrateCloud, as this is one of the best possible solution available for integration." "This tool has made our days so much more efficient. A business is always talking about scaling and this tool makes it happen. We have saved much time with the quality of data we receive with this integration. Sending tickets from Zendesk to JIRA is so much more effective."